Meeting the perfect woman can have its downsides, as London based PI David Good is about to find out. Good girls can seem ten-a-penny at times and some people would have you believe they're sweet little things that wouldn't harm a hair on a squirrel's back. And in 1980s south London, private investigator David Good thinks he's been lucky enough to find his very own example of well-behaved perfection. But he really ought to have known better and it's not long before he finds things are not all he was hoping for. In fact, he's not got much further than a less than intimate lunch for two, when things start to go seriously pear-shaped, and almost terminal. Join a love-filled Good as he wanders blindly into someone else's nightmare and find out just what it is that ends up leaving such a sour taste in his cynical little mouth. “Just love the way Ben Westerham writes, love his style, the humour and his normalness, is that a word? Don't care. Great book. Great story and lots of humour worth reading again.” Amazon UK review. This book is part of the David Good, private investigator series, which can be read in any order you like. I got this book as the grand-prize winner of the Mysteries with Humor Sweepstakes contest and I'm really grateful. 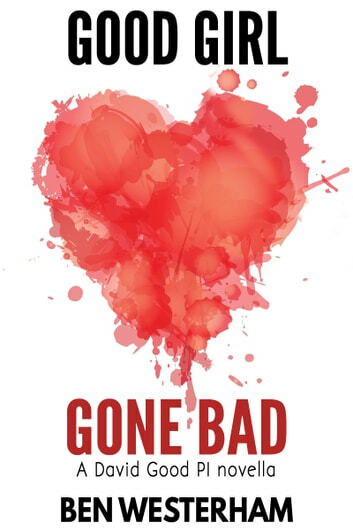 In this short novel, author taught us that girls could be bad, not only angels. It was written on a humorous way, from the point of view of the Private Investigator David Good. "George Michael himself would have had trouble keeping his cool in the presence of this beauty.“ (best quote of the novel, really made me laugh) So, watch out, don't turn your back, 'cause you can end up with smashed head or got the knife in your chest. "So just remember, when someone tries telling you some sweet little girl they know wouldn't harm a hair on a squirrel's back, they're just kidding themselves. 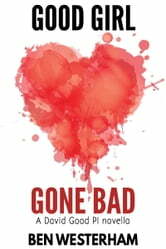 Because just like all the rest, that good girl could end up going seriously bad." Easy to say for David, he's good, at least by his surname.